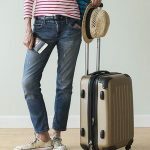 As if anyone needed even more reasons to visit Germany, here is a handy list of natural and man-made sights to be explored in this wonderful country! 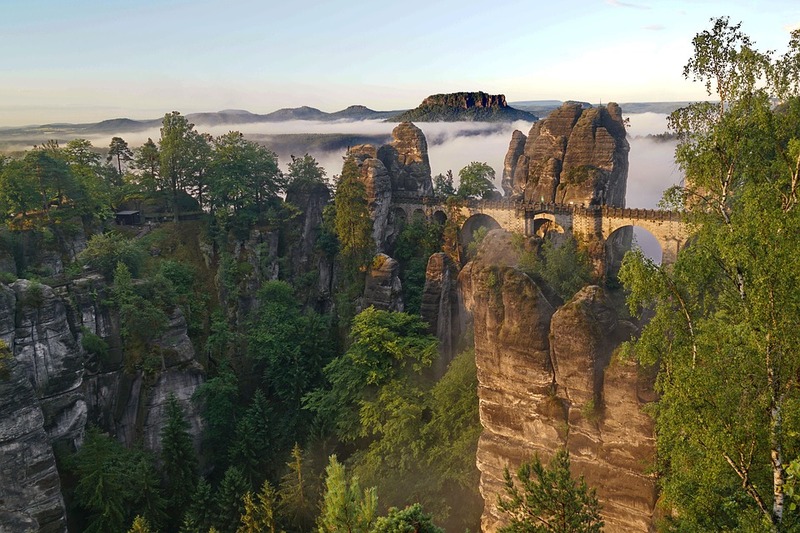 Bastei – Saxony. 194 m tall rock needles and other formations. A footbridge was been built to connect several rock needles. Höllental – Bavaria. Most impressive gorge in Bavaria. The deepest part is approximately 700 m long, with some 150 m tall cliffs above and sometimes just 2 m wide. In order to pass the gorge there is made a tunnel. Schenklengsfeld Lime – Hesse. Biggest lime (Tilia cordata Mill.) in circumference in Europe. Trunk has divided into four separate parts. 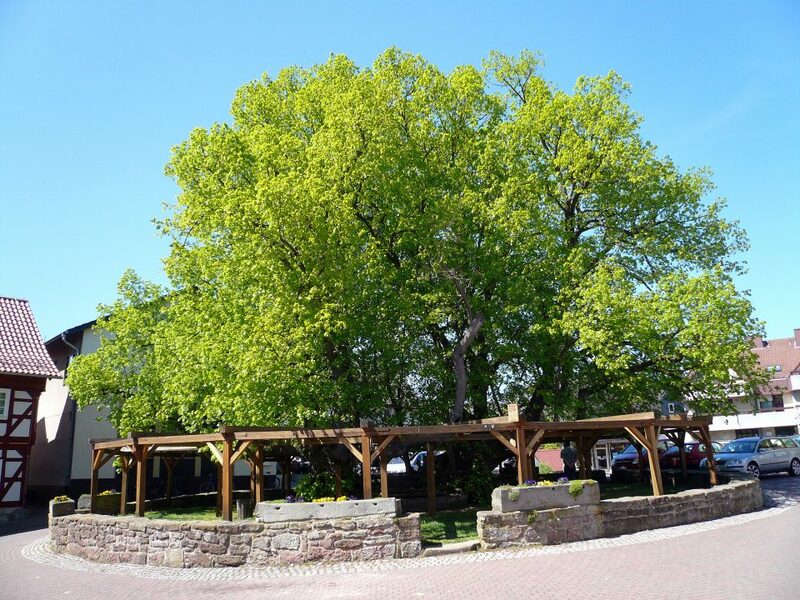 Measurement at 1 m height gives approximate circumference of 17.8 m. The lime tree is around 1200 years old, it is known as the oldest tree in Germany. Starkste Ecke im Ivenack – Mecklenburg-Western Pomerania. Most impressive oak (Quercus robur L.) in Europe and the largest oak in Germany, 33 m high, circumference 11.25 m. The largest one in a group of 5 enormous oaks. The Thousand-year Rose (Tausendjähriger Rosenstock) – Lower Saxony. It is also known as the Rose of Hildesheim. It grows on a wall of the Hildesheim Cathedral. The rose bush reaches a height of around 10 m (33 ft) and documentation verifies its age at approximately 700 years. Slight variations arise in the tale of the establishment of the diocese by King Louis the Pious at Hildesheim in 815 but the rose bush is a common theme in all versions. Röthbachfall – Bavaria. 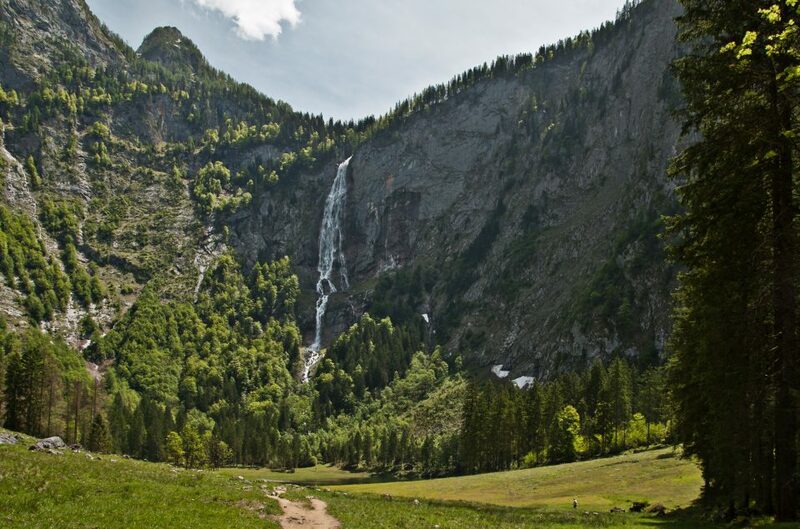 Tallest waterfall in Germany. Approximately 470 m tall, almost vertical. Upper part is approximately 240 m tall, lower plunge – 50 m, very steep part in middle. 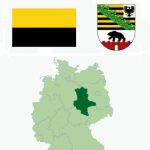 Aachtopf – Baden-Württemberg. Most powerful spring in Germany, discharge – some 8,590 l/s. Water is coming up from 18 m deep pond. Cave leading to this pond has been researched for 500 m length. Messel Pit – Hesse. Abandoned quarry of oil shale, very rich with fossils from Paleocene – Eocene. Fossils have been extremely well preserved and include mammals, reptiles, fish, birds, plants. Numerous species of extinct organisms have been discovered here. 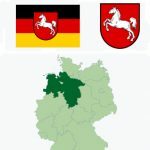 Alter Flecken of Freudenberg – North Rhine-Westphalia. 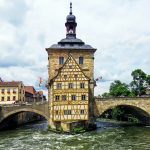 Visually impressive, unusual historical city which consists of white and black half-timbered houses. Includes a fortified church from 1585. 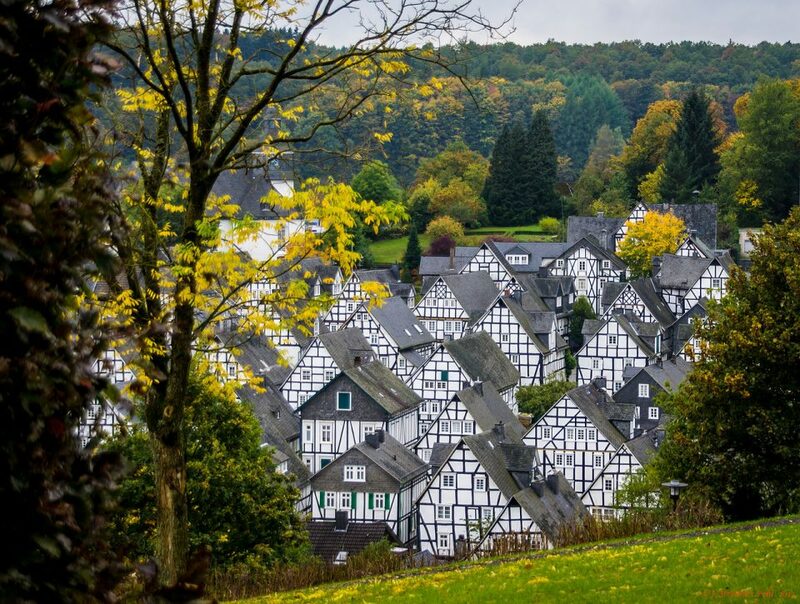 A historic section of the city Freudenberg with 86 half-timbered houses. The district, which is also called ‘old spots’, was built on the instructions of the then local ruler, Prince John Maurice of Nassau in the 17th century after a town fire and is almost unchanged since than. Bamberg – Bavaria. Beautiful medieval city with authentic planning of early medieval cities and huge number of valuable buildings. City flourished in the 12th – 19th centuries. 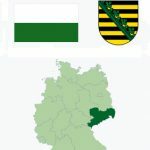 Lübeck – Schleswig-Holstein. One of the most important medieval cities in Northern Europe with well preserved core of the fortified medieval city. Lübeck was one of the main cities of the Hanseatic League and prospered in the 12th – 16th century. Contains huge number of valuable structures, often built of brick. 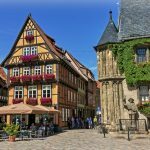 Quedlinburg – Saxony-Anhalt. 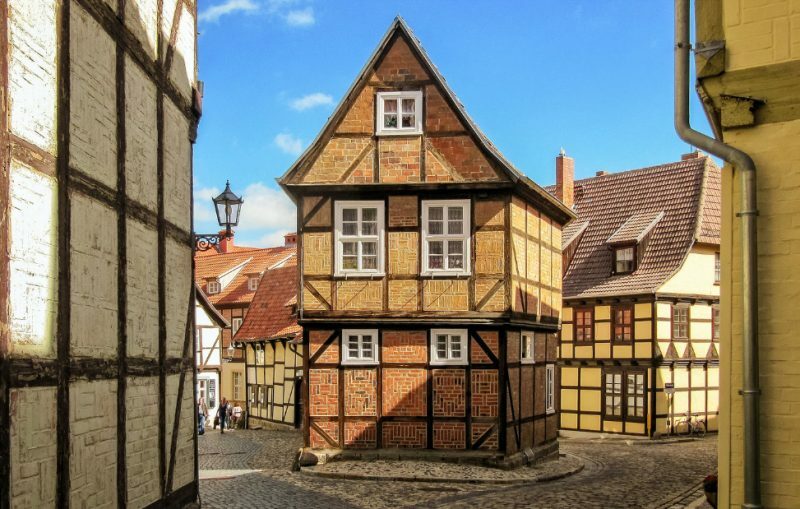 Well preserved medieval city with some 1,600 characteristic half-timbered buildings. Contains numerous valuable buildings from the 14th to 20th century. Regensburg historical center – Bavaria. 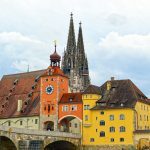 Large medieval city with hundreds of historical buildings from the 11th – 13th centuries when Regensburg was most important trade city in this part of Europe. Especially valuable are the gorgeous Gothic cathedral, bridge from the 12th century, villa of Bavarian king. Rothenburg ob der Tauber – Bavaria. One of best preserved medieval towns in the world. Developed around the castle in the 12th – 13th centuries. Preserved fortification walls of the town. Rüdesheim am Rhein – Hesse. Historical town in Rhine valley with many beautiful historical buildings. 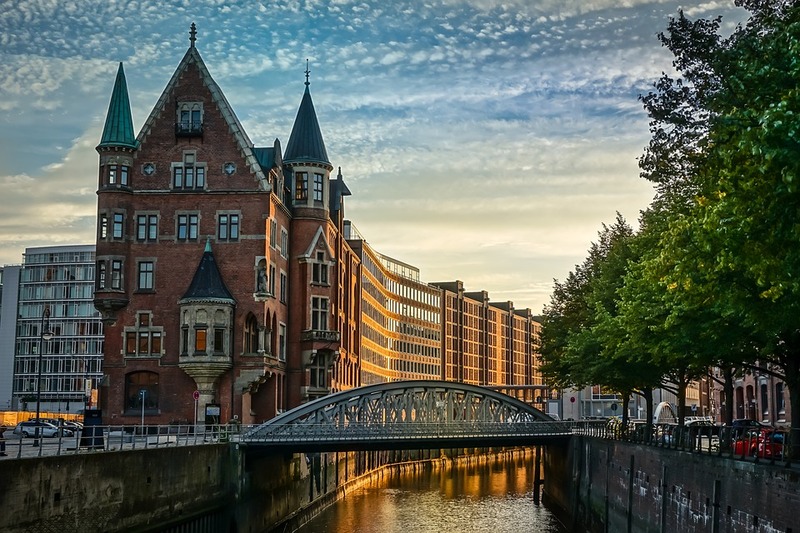 Speicherstadt – Hamburg. The largest district of timber-pile founded warehouses in the world, built in 1883 – 1928. This port district includes numerous innovative and unusual designs to provide more efficient port activities, it includes 17 warehouses. Eltz Castle – Rhineland-Palatinate. Very impressive hilltop castle. Construction started before 1157, castle still owned by original owners. Castle has some 100 rooms and at times up to 100 members of family have been living here. Heidelberg Castle – Baden-Württemberg. Enormous castle, one of most significant Renaissance buildings in this part of Europe. Construction started in 1214, expanded in the 17th century, when most of present buildings were constructed. Hohenzollern Castle – Baden-Württemberg. Enormous and impressive hilltop castle. Current castle constructed in 1846 – 1867 in Neo-Gothic style in the site of earlier castles – thus it is not a true castle, but not a classical palace either. Königstein Fortress – Saxony. One of the largest hilltop fortifications in Europe. Ramparts around the fortress are 1.8 km long and up to 42 m high and enclose more than 50 historical buildings. Fortress has 152.5 m deep well. Beautuful views on Elbe valley from the fortress. 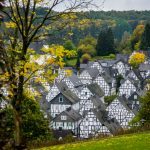 Marksburg – Rhineland-Palatinate. Well preserved medieval castle, built on the top of hill at Rhine. Constructed in 1117. 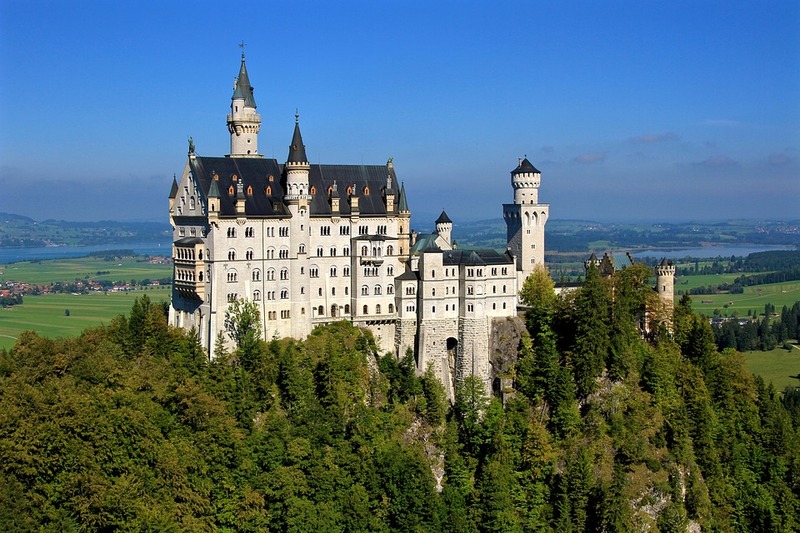 Neuschwanstein Castle – Bavaria. One of world’s most recognized “castles” – but in reality this is not a true fortified castle but Neo-Romanesque palace. Constructed on a hilltop at the base of Alps in 1869 – 1892 (unfinished). Very ornate interiors. 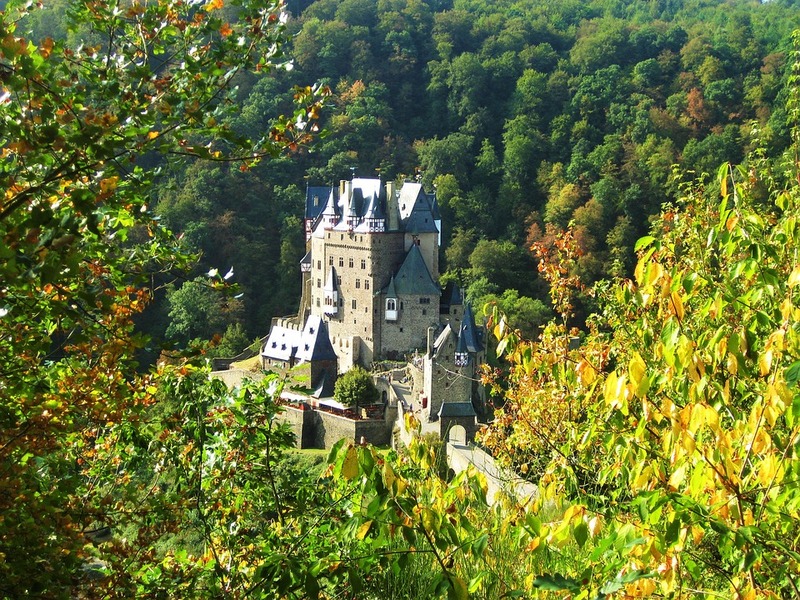 Pfalzgrafenstein Castle – Rhineland-Palatinate. Imposing castle, built on small island in Rhine. Constructed in 1326 – 1340, with later additions. Constructed and served as a toll castle with a garrison of some 20 people. Wartburg Castle – Thuringia. Historically important hilltop castle, built since the 11th century. Especially impressive is the Romanesque part of the castle with Sängersaal. Castle served as a refuge of Martin Luther in 1521 – 1522. Augustusburg Palace and Falkenlust Palace – North Rhine-Westphalia. Some of earliest and best examples of Rococo style, built in the first half of the 18th century. Nymphenburg Palace – Bavaria. Enormous Baroque palace, summer residence of the rulers of Bavaria. Constructed in 1664 – 1675 (central part) and the 18th century. Facade of palace is some 700 m wide, many rooms have ornate interiors. 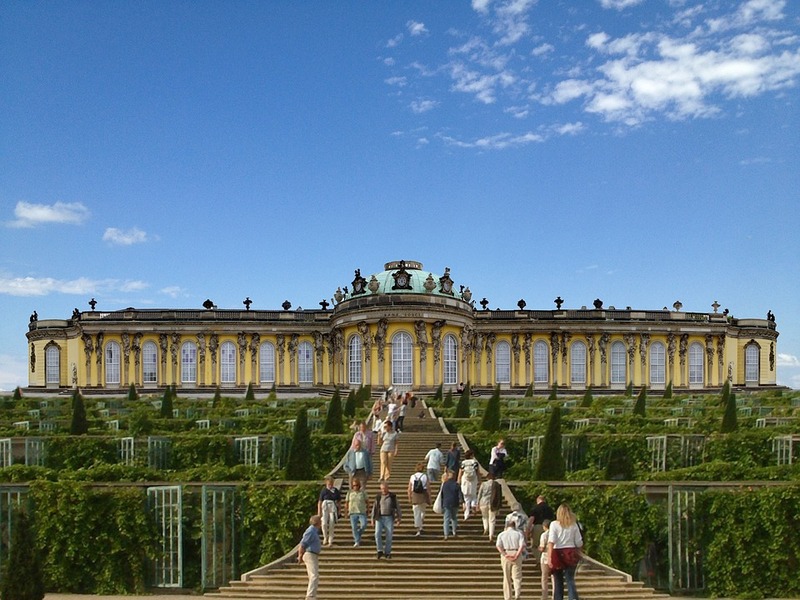 Potsdam New Palace – Brandenburg. Enormous Baroque palace, built in 1763 – 1769 for Frederick the Great. Building has more than 200 rooms, including theater, concert rooms. Sanssouci and Sanssouci Park – Brandenburg. Rococo palace, built in 1745 – 1747 for Prussian king Frederick the Great. The beautiful terraced gardens around the palace have numerous interesting samples of garden architecture, such as the ornate Chinese House. Weißenstein Palace – Bavaria. Large Baroque palace, built in 1711 – 1718. Contains the largest private collection of Baroque art in Germany including paintings of Titian, Rembrandt and other great painters. Würzburg Residence – Bavaria. Large Baroque palace with sumptuous interior, constructed in 1719 – 1744. More than 300 rooms. Interior includes frescoes by Tiepolo. Zwinger – Saxony. Beautiful palace in Rococo style, constructed in 1710 – 1728. 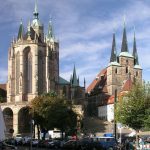 Hildesheim St. Mary Cathedral – Lower Saxony. Romanesque cathedral, built between 1010 and 1020. Current cathedral is a replica, rebuilt in 1950 – 1960. One of most valuable collections of medieval treasures. Here grows 1000 years old, legendary rosebush. Hildesheim St. Michael’s Church – North Rhine – Westphalia. Enormous early Romanesque (Ottonic) church, built in 1001 – 1031. Rebuilt in 1950 – 1957. Ceiling of the church is adorned with paintings. Limburg Cathedral – Hesse. Most accomplished late Romanesque style church, built sometimes around 1190 – 1235. Mainz Cathedral – Rhineland-Palatinate. Impressive, very old cathedral, constructed in Romanesque style. Construction started in 975 or 976 AD and building was basically complete in 1037. Maria Laach Abbey Church – Rhineland-Palatinate. Fine example of German Romanesque style with unique west porch. Constructed in the first half of the 12th century. Maulbronn Abbey – Baden-Württemberg. Best preserved Cistercian monastery in Europe, founded in 1147, consists mainly of Romanesque – Gothic buildings from the 12th – 14th centuries. 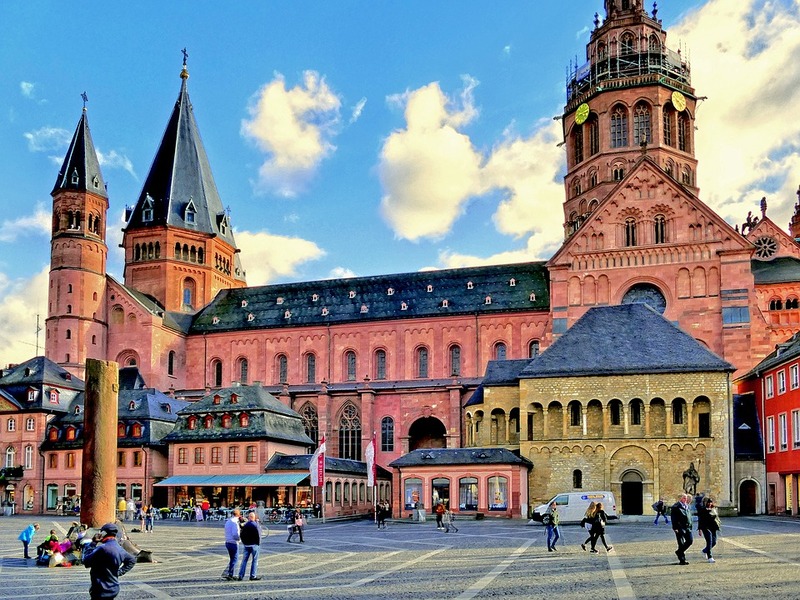 Speyer Cathedral – Rhineland-Palatinate. One of the most impressive Romanesque style structures in the world, largest remaining church in this style. Built in 1030 – 1108 AD. 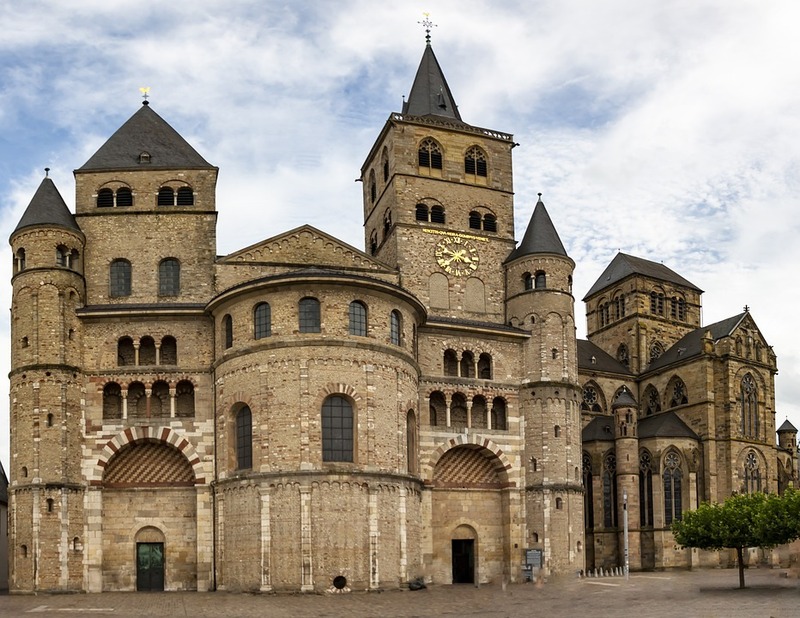 134 m long, height of nave – 33 m, height of tallest tower – 71.2 m.
Trier Cathedral – Rhineland-Palatinate. Oldest cathedral in Germany. First cathedral was built on the ruins of Roman buildings in the 4th century AD and was the largest Christian church in the Western Europe outside Rome. Current Romanesque cathedral in part has preserved some parts of the ancient building, but basically built in the 12th century. Worms Cathedral – Rhineland-Palatinate. 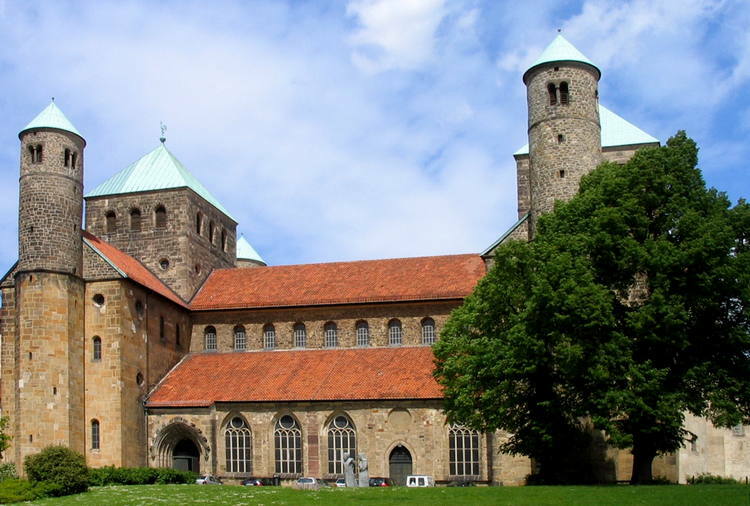 Magnificent church from 1110 – 1081, one of the best examples of Romanesque style in the world. 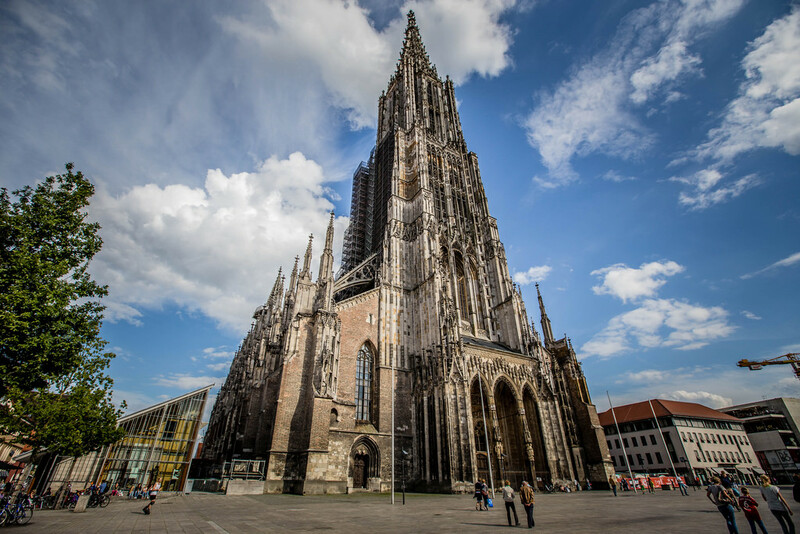 110 m long, with four round towers, height of nave – 26 m.
Cologne Cathedral – North Rhine – Westphalia. One of the most impressive Gothic style cathedrals in world and one of the largest churches in the world. 144.5 m long, two 157 meters tall towers. Built in 1248 – 1880. Most visited landmark in Germany. St. Elizabeth Church in Marburg – Hesse. The earliest Gothic church in Germany, built in 1235. Building is very ornate, with two 80 m tall towers. Ulm Minster – Baden-Württemberg. The tallest church in the world so far (before the completion of 170 meters high Sagrada Familia in Barcelona) – 161.53 meters. Built in beautiful Gothic forms in 1377 – 1890. Dresden Frauenkirche – Saxony. Rebuilt replica of one of most impressive Baroque buildings north from Alps. Originally constructed in 1726 – 1743. 96 m high dome is extremely durable in spite of its enormous size. Ruined in World War II and rebuilt in 2005. Ottobeuren Abbey – Bavaria. This abbey has a church which is one of the most ornate Baroque and Rococo buildings in world, built in 1737-1766. Wies Church – Bavaria. Beautiful Rococo church, built in 1745 – 1754. Important pilgrimage site with many tales of miracles happening here. 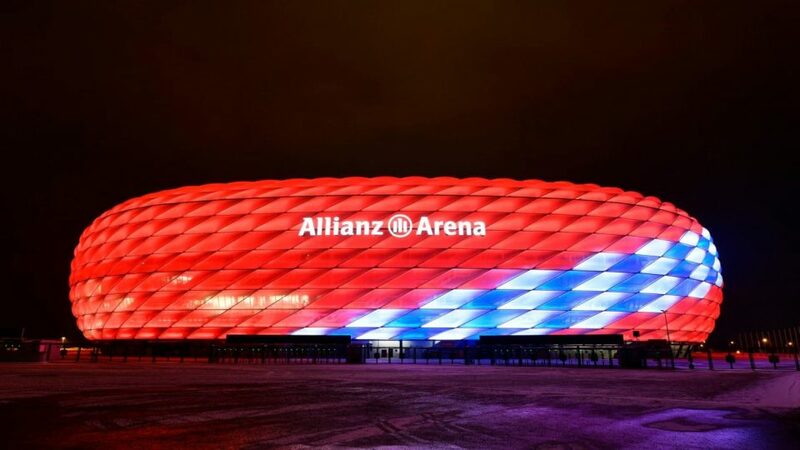 Allianz Arena – Bavaria. Football stadium with unusual, innovative design. Constructed in 2002 – 2005, with enough capacity for 69,901 spectators. The outside facade of stadium can change color. AEG’s Turbine Factory – Berlin. Groundbreaking achievement in architecture, one of the earliest modernist buildings in the world. This factory was built sometimes around 1909, mostly from glass and steel, designed by Peter Behrens. Bauhaus College in Dessau – Saxony-Anhalt. Modernist building, constructed in 1925 – 1926 and reconstructed in 1976 after the design of Walter Gropius. 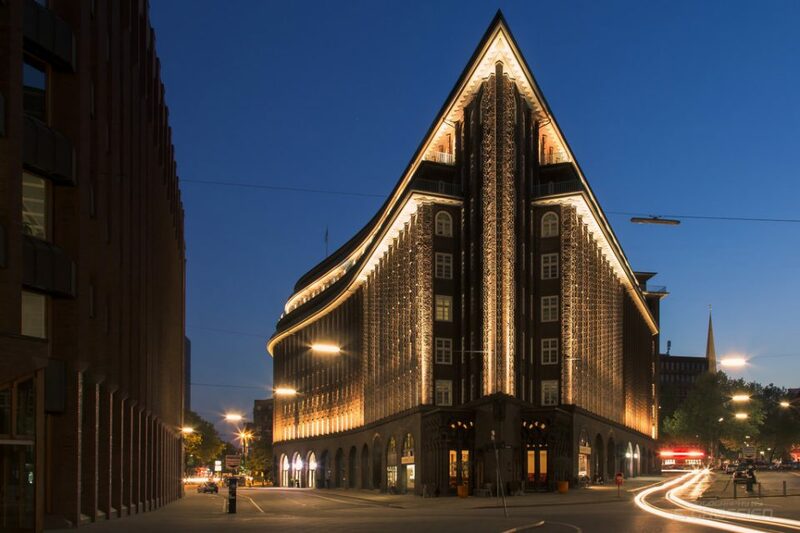 Chilehaus – Hamburg. Fine example of Expressionism in architecture. This ten floor office building was constructed from brick in 1922 – 1924 and has impressive accent – narrow angle similar to ship’s prow. Weissenhof Estate – Baden-Württemberg, Stuttgart. Early (1927) example of international style in architecture – group of 21 buildings shaped in a futuristic style for the time. Danevirke – Schleswig-Holstein. Linear fortification across whole Jutland, built by Danes in the second half of the 7th century. This earthwork wall is some 30 km long, 3.6 – 6 m high. In medieval times it was reinforced with brick wall. Museum Island – Berlin. Complex of five important museums, built in 1824 – 1930: Altes Museum, Neues Museum, Alte Nationalgalerie, Bode Museum and Pergamon Museum. Pergamon Museum houses Pergamon Altar from Turkey and Ishtar Gates from Babylon, Iraq. 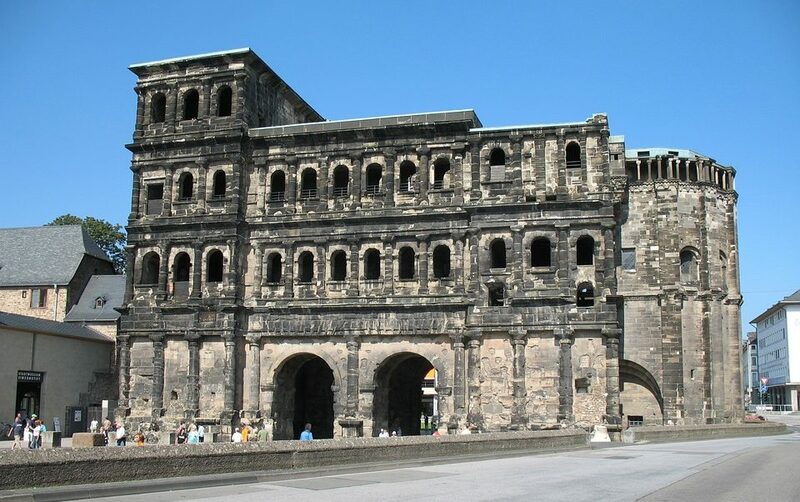 Porta Nigra – Rhineland-Palatinate. Largest Roman built city gate north of the Alps, built between 186 – 200 AD. Walhalla – Bavaria. Imposing structure at Danube, one of great Neo-Classicism buildings. Constructed in 1830 – 1842 as a hall of fame that honors important German speaking people throughout the history. 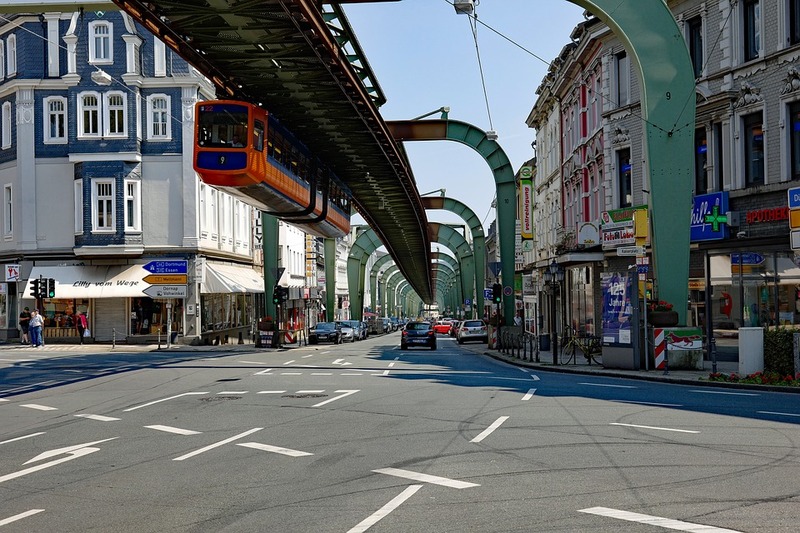 Wuppertal Suspension Railway (Schwebebahn) – North Rhine-Westphalia. Unique urban transport system – the oldest suspended railway. Track opened in 1901, now it is 13.3 km long and moves 25 million passengers per year. Constructed, using the valley of Wupper river.